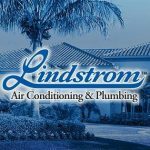 Lindstrom Air Conditioning & Plumbing provides expert heating, air conditioning and plumbing service in Miramar, Florida. From emergency AC repair to drain cleaning and plumbing service, Lindstrom is the name you can count on for quality service performed by friendly AC technicians and plumbers. We have been serving the area with professional HVAC and plumbing service since 1975 and our goal is to continue to build long-lasting relationships with our customers through our winning spirit and commitment to 100% satisfaction. When your AC system has issues or stops working altogether, you need to hire a professional air conditioning contractor that has the knowledge and experience to fix the problem. Lindstrom has installed, serviced and repaired air conditioners in Miramar for decades. Our AC repair technicians have the training and experience to get your HVAC system back on track quickly. It doesn’t matter what type of air conditioner, heat pump or HVAC system you have in your home. Our experts can repair all makes and models of AC equipment. And we stand behind our AC service with a 100% satisfaction guarantee. Lindstrom Air Conditioning and Plumbing is your local air conditioning and plumbing expert. We offer a full range of high quality products and services, and we back it all up with a 100% satisfaction guarantee! Give us a call when you need dependable HVAC or plumbing service in Miramar. We’re ready to put all of our experience and training to work, to serve you!